100% cotton printed floral. Pink, green and blue on ivory ground. 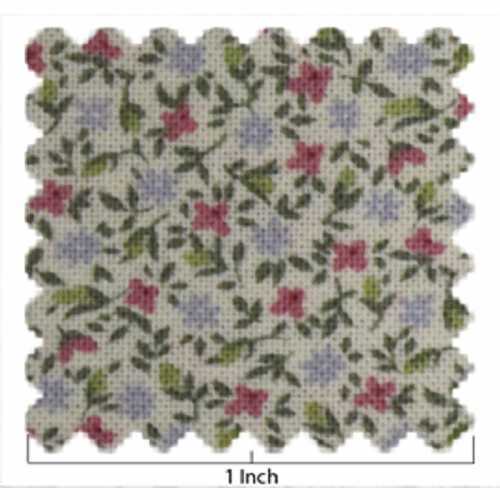 The fabric is quilting weight and a great scale for miniature skirts, pants, shirts or dresses.